Family-friendly outdoor water activities like boat tours, kayaks, paddleboarding and fountains make a splash in Washington, DC. The District’s two rivers, the Potomac and the Anacostia, shine brightly once the warm weather of spring and summer settles on the city. 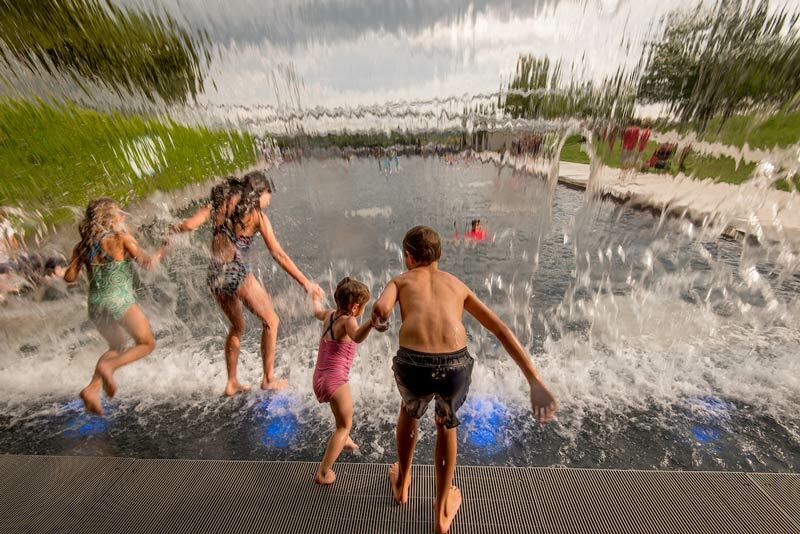 Fortunately for visitors, there are plenty of ways to explore Washington, DC’s waterfronts, with family-friendly outdoor recreation that include being both on the rivers and lounging beside it. 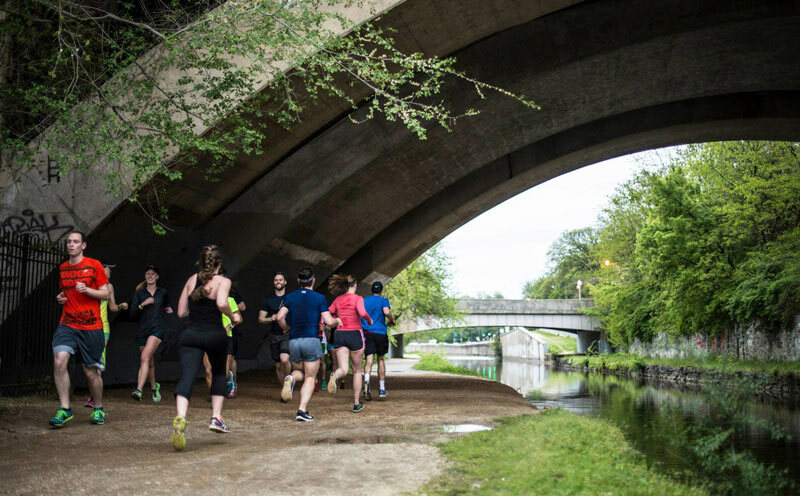 We’re not just talking “lazy afternoons” here – many DC waterfront things to do have a fitness component. Read on for more family activities and waterfront fun in the nation’s capital. 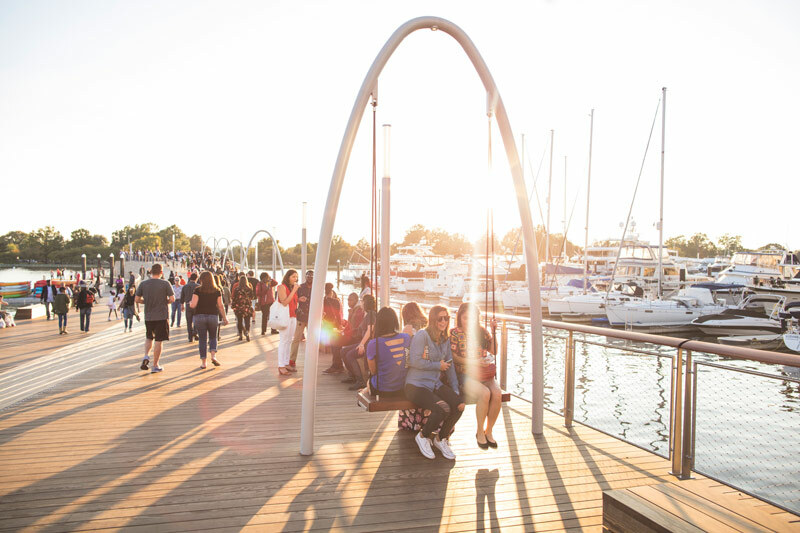 DC’s waterfront offerings went through the roof when The Wharf on the Southwest Waterfront debuted in October 2017. The development features so many things to do, eat and drink – including awesome waterfront views, an array of stylish restaurants, four distinct piers, three new, state-of-the-art hotels, two great new music venues in The Anthem and Pearl Street Warehouse and a free water jitney that takes you to the gorgeous East Potomac Park. We know you want to check it out. Located near Nationals Park and at the center of the bustling Capitol Riverfront neighborhood, The Yards Park sits next to the Anacostia River in resplendent fashion. Its bridge is an architectural marvel while its modernized “outdoor rooms” make the park a perfect place for playtime. 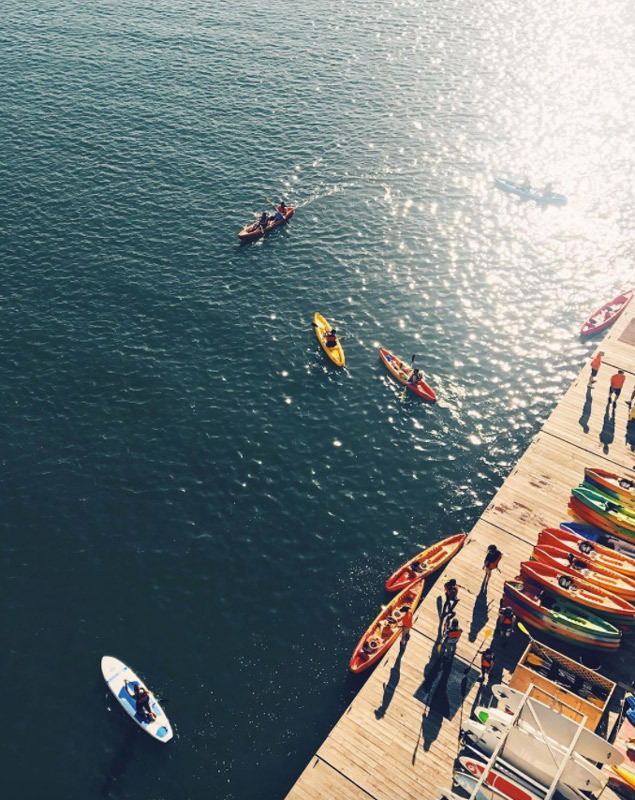 Nearby, waterfront outfitter Ballpark Boathouse offers kayak rentals complemented by views of the river's wildlife. 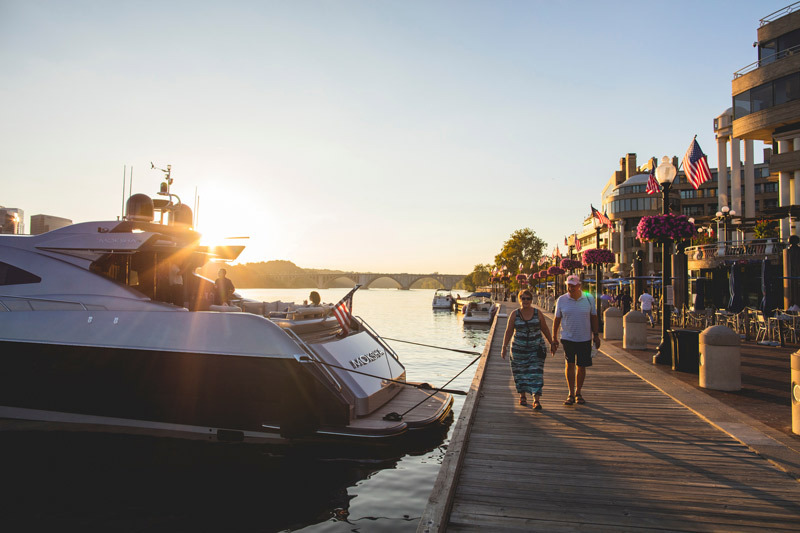 Georgetown’s river waterfront is home to tons of great restaurants – many, including Sequoia, Tony and Joe's Seafood Place and Farmers Fishers Bakers, offer patio seating in warm weather – and plenty of outdoor activities. In summer, children (and adults, too) can splash in the sprinkler-style water fountain, watch the boats and feed the ducks. Before or after, get your shopping on in the historic neighborhood. And if you're driving in to Georgetown, make sure to find and book parking in the neighborhood ahead of time with ParkWhiz. Located in Georgetown on the Potomac River, Key Bridge Boathouse is a great place to go for on-the-water adventures. Rent a kayak, canoe or even a standup paddleboard and make the river your personal playground. You should be able to catch views of the gorgeous Georgetown waterfront, the John F. Kennedy Center for the Performing Arts and even the Washington Monument. You can also paddle over to Theodore Roosevelt Island, which is an attraction unto itself. 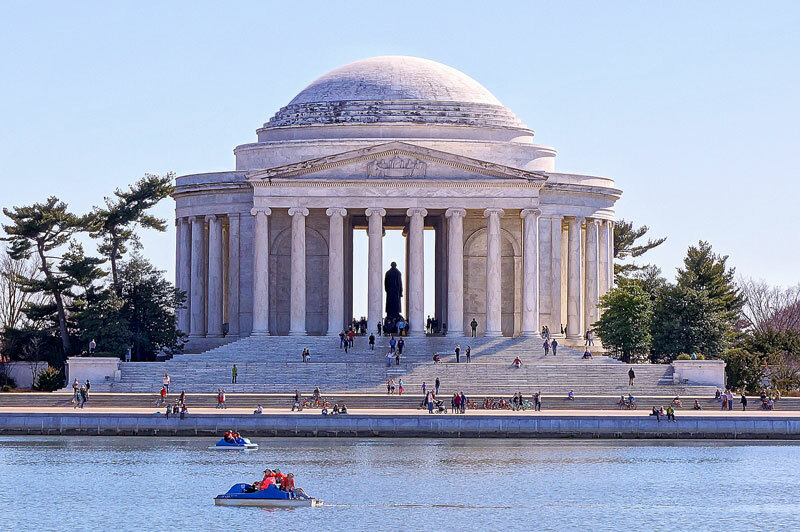 Gaze at the gorgeous Jefferson Memorial and an array of cherry blossom trees as you glide around the Tidal Basin on either a pedal boat or a swan boat from Tidal Basin Paddle Boats. Expect picturesque views of the National Mall as you navigate one of the most scenic areas in the District. Located on the Southwest Waterfront, Entertainment Cruises offers sightseeing tours daily, providing stunning visuals of the memorials and monuments from an on-the-water perspective. Its boats offer lunch and dinner cruises, as well as themed excursions, so your options are plentiful. There's also Embark DC, which offers customized tours that depart from the Georgetown waterfront; Potomac Riverboat Company, which offers a variety of narrated cruises on the river, including water taxi excursions; and DC Cruises, which sports 100-passenger tour boats to see the monuments, as well as water taxi tours that connect Georgetown and the National Mall. 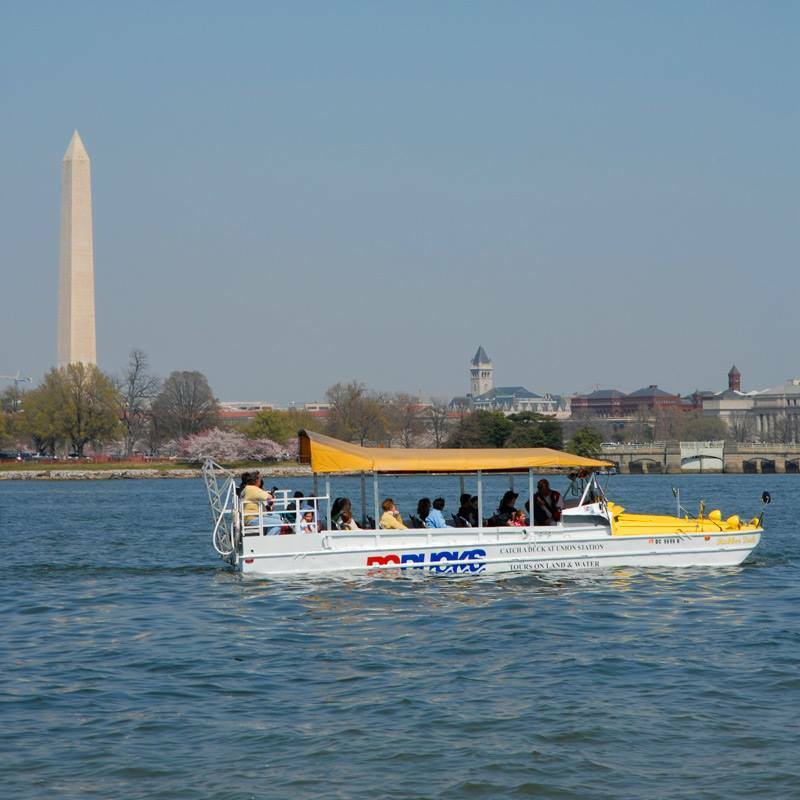 DC Ducks offers awesome sightseeing tours on its distinctive amphibious vehicles. You start at Union Station, driving past the city’s famous monuments and museums, learning as you go. Then, the car turns into a boat, taking you straight into the Potomac River for a thrilling adventure off-land. This 90-minute journey is unlike any other tour in the District and a great family-friendly activity. Both the Mount Vernon Trail and the Capital Crescent Trail are ideal for a leisurely hike or an eye-popping bike ride. The Mount Vernon Trail winds for 18 miles, starting at George Washington's Mount Vernon (see below for more on the estate) and ending at Theodore Roosevelt Island, with gorgeous views of the Potomac River all along the way. The Capital Crescent Trail starts in Georgetown and winds all the way to Silver Spring, Md., flanking the Potomac throughout. At the Great Falls Tavern Visitor Center in Virginia, you can hop on with C&O Canal Boat Rides and take a historic trek down the canal. The boat is a replica of those used in the 1870s, when the C&O was oft-used to transfer products like coal and lumber. Take in scenery as rangers in period clothing guide the way. Both kids and adults will enjoy this one-hour adventure (kids three and under ride for free). 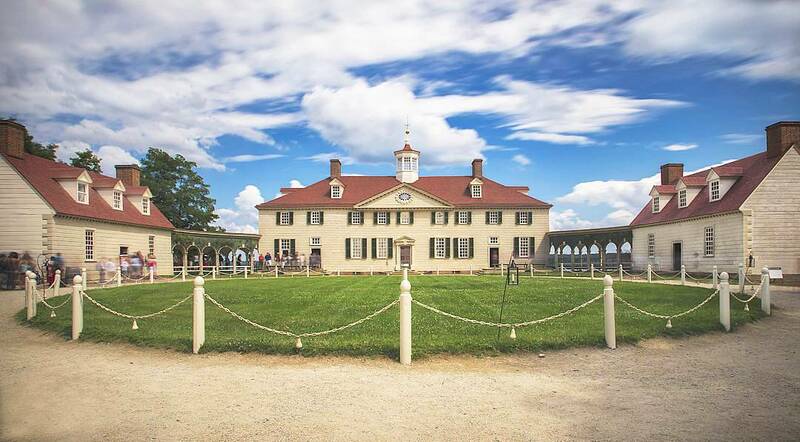 The historic and elegant George Washington's Mount Vernon sits right next to the Potomac River in Virginia, providing jaw-dropping scenery and plenty of period-authentic features. The property includes the iconic mansion, outbuildings, a tomb and even a working blacksmith shop and farm. The entire family will also love the interactive exhibits and artifacts inside the Museum and Education Center. 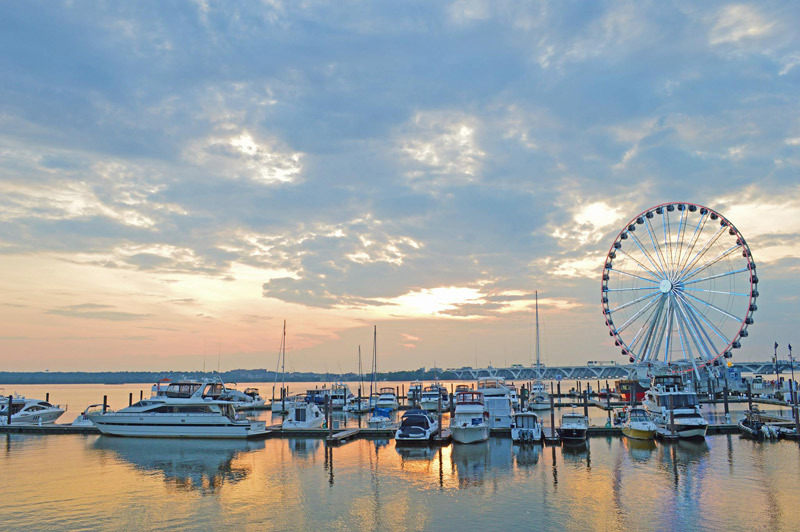 Set just south of Washington, DC on the Maryland banks of the Potomac River, National Harbor presents numerous recreational options, including an exceptional roster of restaurants and hotels. The kids will love riding the Capital Wheel, which sports amazing vistas of the River, Old Town Alexandria and even Mount Vernon. 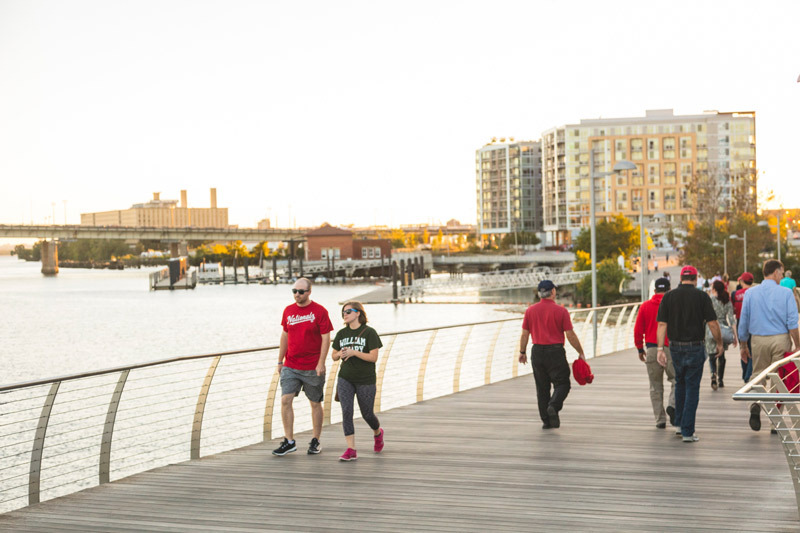 The southeast pocket of DC has undergone significant development in recent years, including a continuous new 20-mile Anacostia Riverwalk Trail that runs along both sides of the Anacostia River through the Capitol Riverfront and Anacostia neighborhoods. Run, bike or stroll down the 10-12 foot wide trail that winds next to the revitalized waterway.